Samsung hasn’t been very quick with releasing the January 2019 security patch for its devices, perhaps because its resources have been taken up by the Android Pie update. But the company is now picking up the pace it seems, and after releasing the January patch for the Galaxy Xcover 4, Samsung has released an update for the Galaxy S7. The update comes with software version G930FXXS3ERLF and is currently available in the United Kingdom. The update likely doesn’t offer anything but the newer security patch (and the S7 is certainly not getting Android Pie, no matter how capable it might be). The January patch is one of the smallest in recent months; it fixes three critical vulnerabilities in Android and four that affect Samsung’s software. 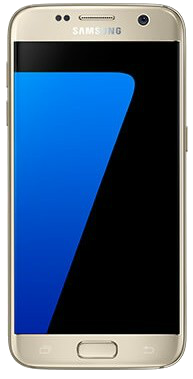 Only the Galaxy S7 is getting the update at the moment, but the Galaxy S7 edge should also receive the same update in the coming days. You can download the update by going into the Settings » Software update menu and selecting the Download updates manually option on your phone. You can also download the complete firmware from our database as an alternate method to upgrade. Do tell us if you see any new features or noticeable changes after the update has been installed. Harsh news that it would not get the Pie update. But still thanks for the Update about January. Sure would be nice if it was Pie instead. How much it weighs ? In terms of the critical vulnerabilities fixed. s7 before s8 what do you thing? does it give a hint about s8 Pie update.